(AP) CINCINNATI - Neil Armstrong never capitalized on his celebrity and just wanted to be part of a team  yet ended up making history and becoming an American hero, fellow astronauts said Friday as mourners gathered to celebrate the life of the first man to walk on the moon. Former astronauts, political and business leaders, and family and friends gathered in suburban Cincinnati at a private club for a closed service for Armstrong. "America has truly lost a legend," said fellow Apollo astronaut Eugene Cernan, who said Armstrong was a hero who "came from the culture of our country," growing up on a western Ohio farm, flying combat missions, and then joining the space program. A program stated that the service included a Navy ceremonial guard, and comments by Armstrong's two sons and Sen. Rob Portman of Ohio. A flyover by Navy fighter planes was planned at the end of the service, in tribute to Armstrong's Navy pilot service that included combat missions in Korea. Armstrong died last Saturday at age 82. Family spokeswoman Allison Ryan said there would be a national memorial service in Washington Sept. 12. No guest list for Friday's memorial was released, but among some 10 former astronauts attending were space pioneer John Glenn and Armstrong's fellow Apollo astronauts Cernan, James Lovell and William Anders. Earlier Friday, Cernan and Lovell spoke at a Cincinnati hospital to help launch a children's health fund in Armstrong's memory. Lovell and Cernan said they had visited Armstrong two months ago in his suburban Indian Hill home, and he cooked breakfast for them  and burned the eggs, Cernan said. "Neil Armstrong was probably one of the most human guys I've ever known in my life," he said. Cernan told him he was disappointed that the U.S. manned spaceflight program was halted, but predicted Americans would someday return to the moon, and that Shane's generation would reach Mars. Raised in Wapakoneta, he developed an early love for aviation. He served as a U.S. Navy pilot flying combat missions in Korea, then became a test pilot after finishing college. 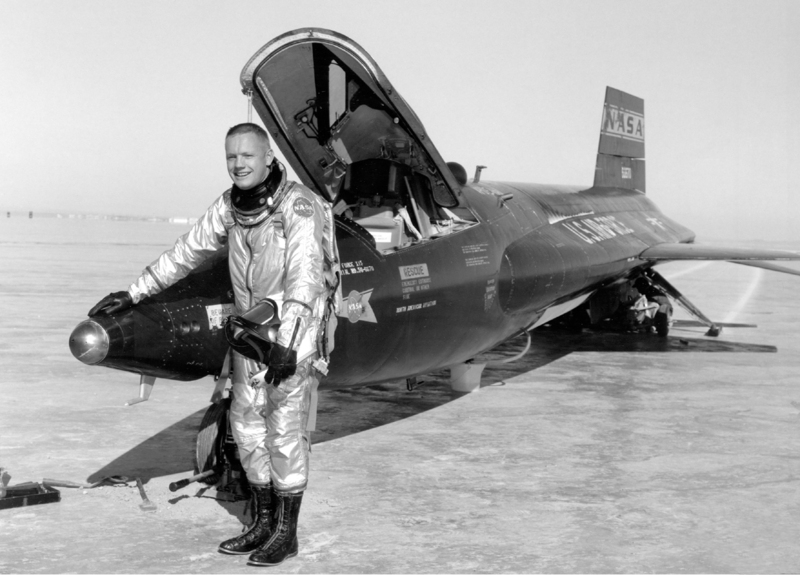 Accepted into NASA's second astronaut class in 1962, he commanded the Gemini 8 mission in 1966.